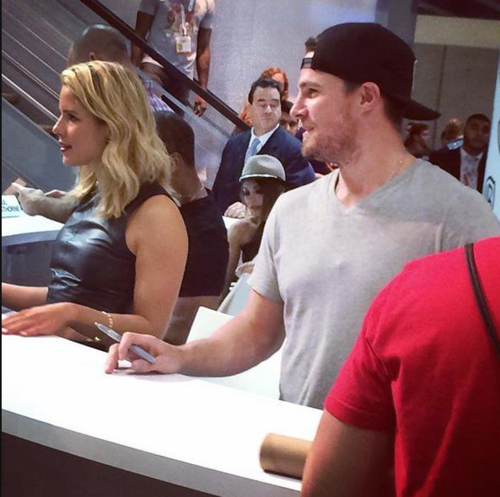 This Stephen Amell & Emily Bett Rickards photo might contain সাইন, পোস্টার, টেক্সট, and চকবোর্ড. 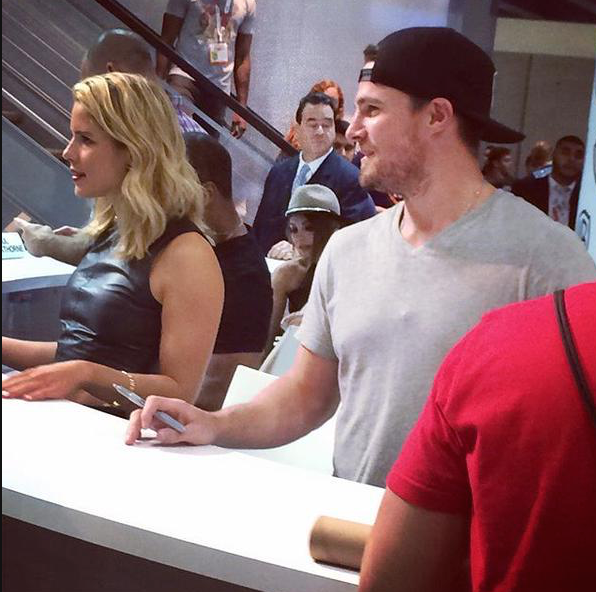 Stephen and Emily @ SDCC 2015 What is your one word আপনি can use for describing this season four? Emily giving Stephen জেলি beans. Stephen Amell and Emily Bett Rickards at the অনুষ্ঠান- অ্যারো panel at Walker Stalker Con, March 16th, 2014. Stephen Amell and Emily Bett Rickards at The Flash vs. অনুষ্ঠান- অ্যারো অনুরাগী screening event.